California was incredibly smoky this weekend. When I left home in Jamestown it was reasonably clear, but by the time I reached the interstate the smoke was thick and only got thicker as I drove north. Here is a photo of what I-5 looked like north of Corning. But I had a goal, and drove through all that smoke for 380 miles to reach this perfect little gem of a lake in northern California, where Mo was already camped with the MoHo. Even Mt Shasta was invisible to me as I drove the usually magnificent McCloud HWY 89 to Harris Spring Road and the final 33 miles to the lake. Once I was there, and settled in, it was worth it. Mo arrived earlier in the week on Wednesday afternoon, and managed to get a perfect spot right on the lake. Number 45. 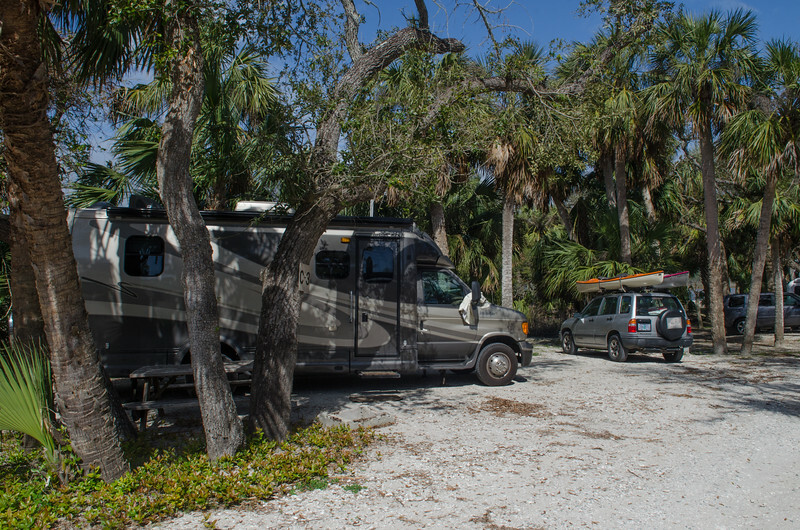 Each time we have camped here, we have been in the Hogue Campground, along the northern side of the lake, and each time we have managed a lake front site. It gets a bit more challenging with the bigger MoHo, but still at only 25.5 feet, she managed to slide in to this lovely site, and with a bit of additional leveling we had a perfect lake view, room for the awning between the trees, and amazing privacy, even though the campground was more than half full over the weekend. For bigger rigs, there are nice roomy level private sites farther uphill, but the lake view is well worth the juggling. We saw some fairly big rigs in these sites, easy and comfortable. The best part about Medicine Lake is how uncrowded it is, even on sunny Saturday afternoons. The water is clear, and the lake rules allow speedboats between the hours of 10 and 5, so there are quiet times for kayaks and canoes and everyone is happy. We saw people doing lots of fishing, and one happy person said the fish were fairly easy to catch, they just jump on the hook when you put it out there. It is one of the few places that Mo and I really enjoy returning to when there are so many new places to visit. It's clean and open and the camp spaces are far enough apart that most of the time it feels private and spacious. We take the boats down to the beach and leave them there for the entire visit, kayaking in the late evenings or early mornings when the winds are quiet. On this trip, there was more wind than usual, even early in the day, so our paddles were a bit restricted, and the air wasn't as perfectly clear as it usually is, but even so, it was relaxing and a great way to spend a week, or a weekend. We hiked along the lake to the tiny little Medicine Lake and Abby thought the entire trip was just so that she could swim every day and often. Mo brought along plenty of firewood from home as well so we had some truly lovely roaring fires night and morning . Back to Jamestown Sunday evening, and just another week of work and a weekend to get ready for the Spokane trip. I can hardly wait, but in the meantime, the Medicine Lake trip was a wonderful respite from the daily dig. This is the lovely lake that awaits our next trip, nestled into the Medicine Lake Highlands of northern California. The serenity pictured here belies the rumble beneath the surface that may one day become part of the landscape. Geothermal energy is here, part of the very recent volcanic activity that created some of the magical features in this area, and it's development is a controversial subject. For now, here's a photo of a quiet evening spent in 2006. I guess the campfire proves I am a true camper, or at least Mo is, since she is usually in charge of the fires. Recently, Laurie of the blog "Semi-True Tales of Our Life on the Road" http://laurieandodel.blogspot.com/ said one of the differences between fulltimers and campers is that fulltimers don't build fires. Read her very funny story about campfires and mosquitoes and Odel in a sweat shirt at 78 degrees! I have never met either of them, but Laurie's wonderfully descriptive sharing of their life on the road is a delight and an inspiration to me. I hope to one day be a full-timer as well, and will learn much from all that she has written.